Canadian hemp is speeding onto the world stage after a Calgary, Alberta-based processor was tapped to provide fibers to help construct a track for the Winter Olympics in Beijing. The deal is thought to be the first time that hemp construction components have been used in a modern Olympics. Canadian Greenfield Technologies will send 60,000 to 120,000 pounds of its NForce-Fiber to China for use by another company building the track for bobsled, luge and skeleton races. The fibers are already being used in place of plastic fibers for outdoor construction projects that use sprayed concrete – commonly called shotcrete – such as outdoor pools and skate parks. The fibers strengthen the concrete. The hemp will come from three Alberta hemp farms. Financial terms of the contract were not made public. The Olympics may be a once-in-a-lifetime honor, but Canadian Greenfield Technologies is already looking ahead to building its hemp construction businesses in other ways. The company launched a new type of decorticator that promises to do a better job than other options currently on the market of preserving hemp fibers, hurd and even flower. Traditional decorticators separate hemp components using hammermill technology, where the plant is hammered, rolled or crushed into its components. Stephen Christensen, vice president of the 30-year-old company, said his machine uses high-speed movement, rather than beating. The process grinds hemp flower into a fine powder for further extraction or that can be incorporated directly into topicals and supplements. The decortication system costs about CA$1.85 million ($1.4 million) and can fit in about 1,000 square feet. Canadian Greenfield Technologies aims to sell the machines to large hemp producers who want to decorticate their own raw material or to companies that want to process hemp grown by others. The company also makes consumer hemp products, including cat litter, hemp-derived potting soil and food-preservation pads. 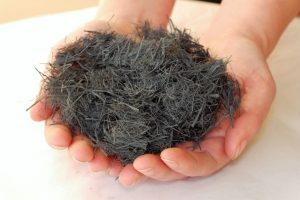 Christensen said such products are meant to demonstrate the value of the company’s decorticator, as hemp hurd and fibers traditionally need further processing after being separated. Any industrial hemp companies listed on any U.S. exchanges? Could you send the names of such companies listed Canadian Security Exchange? Who buys raw hemp? Raw from field to have processed in Nova scotia, Canada? Im interested in using my fields for growing. Any advice would be greatly appreciated!